Although essential oils may be absorbed into the body by applying topically, the best and most efficient way to take them in is through inhalation, and optimally a diffuser. Diffused oil, once inhaled, is easily and immediately absorbed and directed to every part of the body. Essential oils are used to treat many health ailments, improve cognitive ability, ease stress, anxiety, depression, and lift one’s mood and spirit. Additionally, diffused oils are an excellent way to improve any environment by purifying the air of pathogens, viruses, bacteria and filling the air with a nice fragrance. 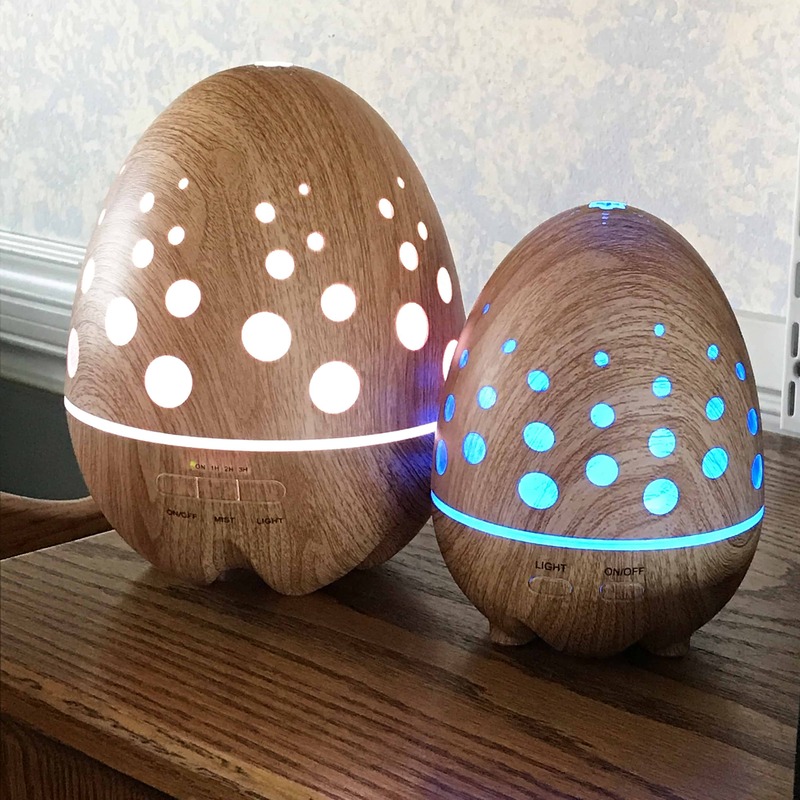 There are many different types of diffusers on the market, however ultrasonic diffusers are the best choice for diffusing essential oils. The ultrasonic diffuser uses electronic frequencies to create vibrations in the water, which are then carried to the surface of where the essential oils are floating. 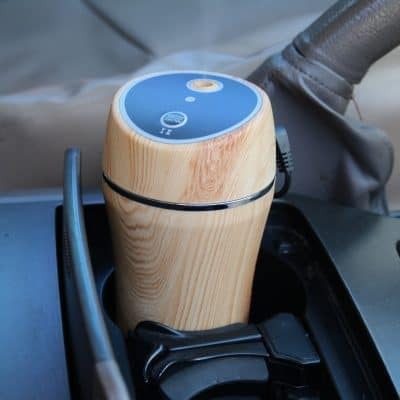 The vibrations vaporize the oils and disperse them into the air without using any heat. Unlike heat diffusers, ultrasonic diffusers do not destroy the therapeutic properties of the essential oils being used. BlueStone Essentials diffuser is perfect for any environment. 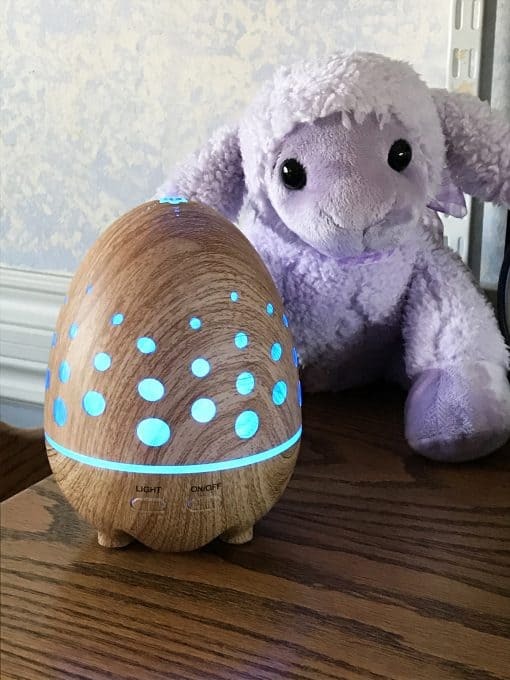 With its ultrasonic technology, it is quieter than most diffusers, conserves and protects fragile essential oil components, and disperses very fine therapeutic particles that are easier for the lungs to absorb. It is ideal to diffuse your favorite oils in the home, children’s bedroom or at the office. Beautiful classic faux wood grain look: Egg shaped, simple but stylish, it can be placed in any part of your home or office as a decorative piece and, is a great addition to a child’s bedroom. 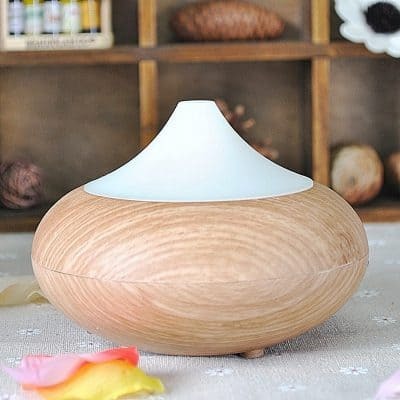 Add several drops of your favorite essential oil(s) to give your room a fresh, clean scent, this diffuser is excellent for promoting proper humidity. Working Time: approximately 3 – 6 hours, when the water runs low it has an Automatic Shut-Off Function. 7 Soothing LED Lights: The colors can be cycled through or set to one fixed color. Super Quiet: With adopted ultrasonic technology, this diffuser is extremely quiet. It gives out an ultra fine and smooth mist which can help soften and moisten dry, chapped skin. In addition, it helps to promote better breathing while sleeping providing for a better night of rest. 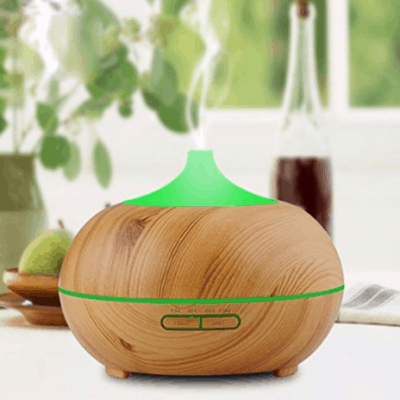 Great Mist Output: This aroma diffuser can hold up to 160 ml of water and can provide approximately 3-6 hours of continuous output. It works well in a child’s bedroom. Great Night Light for children. Small and compact, perfect to pack in luggage and take on trips, use in your hotel room etc. 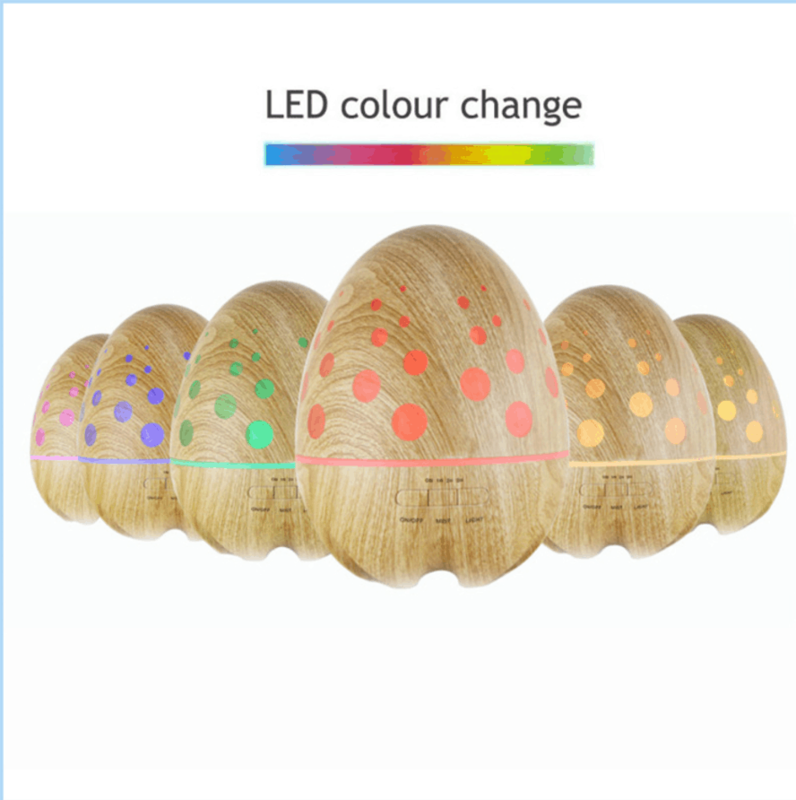 This diffuser can be used with no light on. AUTO-shut off function: Shuts off automatically when the water tank is empty.